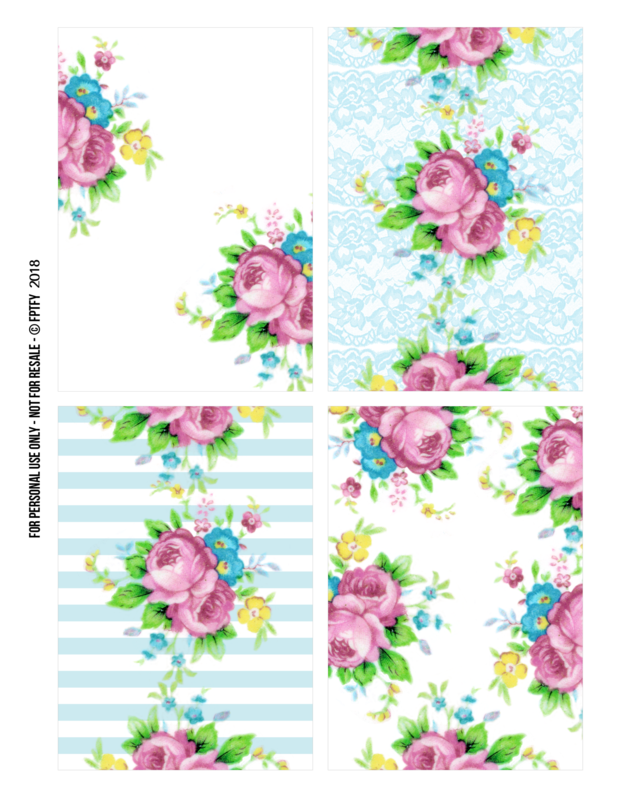 some pretty cottage rose printables! They could be used for as tags, note cards and can even be resized for social media post and planner accessory printables! Thanks so much – they are so pretty! You are so welcome Barbara!! :D So happy you like them :) xo! Perfect timing, Karen. I was about to check my drives for a card image for a friend who loves old fashioned roses and find you have offered the perfect image. Thank you so much for sharing your love of beauty with us. I hope you have a wonderful August with plenty of time to enjoy it. Thank you, these are so so pretty! I just love the roses and the colors! YAY so glad you like them JoeyAnn :) i love the roses and color combo also! I have a pink version… thinking of posting it also! Love these and love the colors! I’ll surely use them for many things! Hi Marilyn!! :) Hope you have been good! So glad you like them!!! These are just so lovely! thank you for sharing. I cannot formulate words to say how beautiful this Cottage Rose set is…and the pink and blue together is mouth wide open beauty! I wish I had a website so that I could tell so many people about your unbelievable generous freebies! One of the reasons they mean so much to me is because I started card making about 8 years ago. I was confined at home recuperating from surgery. A friend that I knew sent me a referral to a website to learn how to get started. I started making the cards loved it and from the start I wanted to GIVE THEM AWAY. I did and I still do. Thanks so much. It readers like you, Belinda that keep FPTFY going!!! SO thankful to have you here and that you can use my designs to make this crazy world a better place!! Thanks so much, Keren, for your lovely papers here and on other pages. I love the gold touches you have on lots of them and I do like the striped background behind these roses. :) I just started a planner that I’m printing as I go and am thinking it’s a pity I need only one cover for the year! I know I’ll think of other uses for these papers in my planner though. I like to make cards as well so my mind will be busy when I go to bed in a minute, thinking of different designs. Oh boy! You Are So welcome Robin!! Happy Planning!! !